Herman Coy Seymour was born on December 4, 1933 in Hollis, OK to Claude and Neva Baird Seymour. He passed away on September 27, 2016 at the Norman Regional Hospital at the age of 82 years. Herman grew up on the White Side Ranch southwest of Hollis and attended West View School until he was 14. Later his family moved southwest of Mangum and settled on a farm and ran the LaDessa Store. He graduated from Centralvue High School in 1952. He was active in baseball, basketball and 4-H.
After graduating from High School, Herman volunteered for military service in the Army. He served his duty as heavy equipment maintenance mechanic state-side from 1955 – 56. After his tour with the Army, he began collage at Oklahoma A & M. In 1957, Herman and JoAnn Ware married at Hill Crest Baptist Church of Stillwater and he finished his Bachelor of Science degree in 1960. A day after finals, he went to the OSU Extension Service and got a job as a 4-H agent in Kiowa County. After six years in Kiowa County the family moved to Rogers Mills County for four years. He spent the next 18 years in Beckham County as the Agriculture and 4-H Agent. In 1972 he received his Masters Degree from OSU in Vocational Agriculture Education. It was during his time in Beckham County that he and several farmers tested Plains Blue Stem as a staple grass forage crop for cattle in the harsh climate of southwest Oklahoma. Herman was an active member in the Sayre community and Sayre Kiwanis Club for over 50 years. He was a great family man and his greatest pleasure came from sharing life with wife JoAnn, raising his girls, Cynthia and Susan, running a small herd of purebred Angus cattle and Suffock sheep, helping kids learn about life by raising and showing livestock and participating in 4-H. He spent his spare time with friends and family fishing in Colorado looking for the famous Rainbow Trout and eating JoAnn’s even more famous hushpuppies. He also loved quail hunting with his best dogs, Bonnie & Radar; and his best buddies Otho LaMar and D.J. Lockwood. 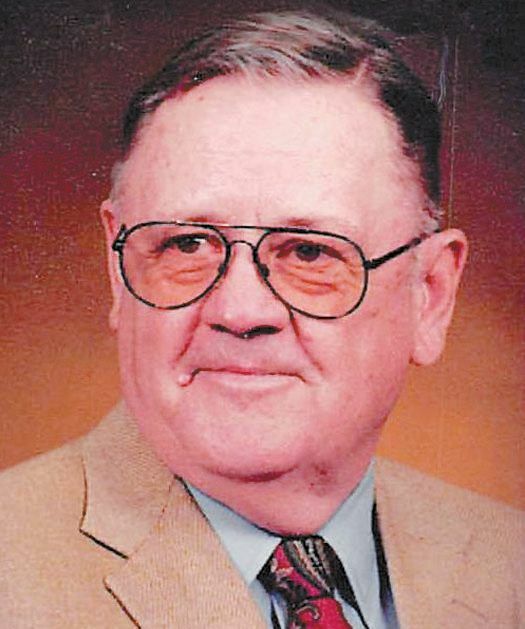 He received numerous awards and recognition for his service with the OSU Extension Service, most notably he received the OSU Extension Distinguished Service Award in 1982. After his retirement in 1989, he could be found at Sayre Grain, the domino parlor and local coffee shops passing time “with the girls”.